Every Friday in a small conference room in the UW–Madison Student Activity Center, a transformation occurs. The tables and chairs are flipped, stacked and rolled out. Microphones, instruments and musicians refill the room, molding the space into something new. A live recording studio is formed. “It’s 3 p.m. on Friday, which means it’s time for Live@WSUM,” says WSUM music director Izzy Fradin, who hosts the live show. Every Friday the program features two bands, which range from local musicians to artists from across the nation. 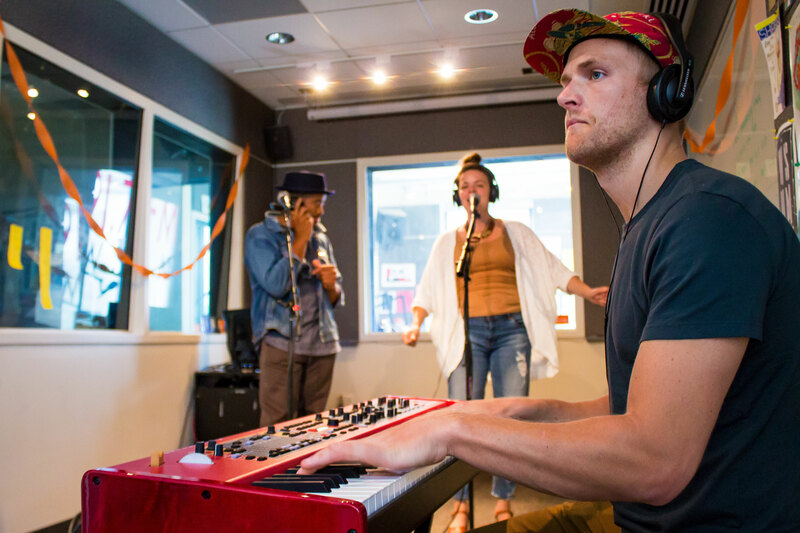 Each puts on a 30-minute set that’s broadcast live from the studio from 3 to 5 p.m. WSUM is the University of Wisconsin – Madison’s student run radio station, which can be found on FM 91.7. Live@WSUM is organized by a UW student until he or she graduates. This year it’s Fradin’s turn to run the show. As host, Fradin, a UW senior majoring in communication arts and psychology, schedules the bands, welcomes them to the studio and then interviews them after their set. To keep the show running smoothly, other WSUM staff members set up the band, control the sound mixing and help Fradin schedule acts. While Live@WSUM has hosted big names such as Chance the Rapper and Cloud Nothings, one of the primary goals of the show is to support local bands. WSUM is able to give a “voice to the voiceless” by giving less well-known artists the opportunity to have airtime — something they wouldn’t get on commercial radio, Fradin said. “There’s so much great content out there that never would have gotten any chance to be heard otherwise,” Fradin said. Fradin said one of the most memorable local bands that played was an indie group called Disq. The band members were Madison-area high schoolers and they put on an “incredible” show. “We were all like, ‘holy cow these kids are awesome,’” Fradin said. Some bands that come on the show don’t have an album and their first recorded music is the track they get after playing live on WSUM. Other local bands make their debut on the show. Whether a band is recording music for the first time, or stopping in Madison on a national tour, Live@WSUM has room for a wide variety of music. Fradin said the show welcomes all genres, including rap, hip hop, R&B, metal, pop, indie, alternative, punk, rock, folk, electronic, jazz and even classical. Since the goal of WSUM isn’t to make a profit, Fradin said they have the flexibility to focus on the music, instead of just putting big names on air. “When things aren’t for profit’s sake, so much goodness can be found,” Fradin said. After each band performs, Fradin delves into the meaning of their songs by interviewing the band members. Listeners can hear about the artists’ inspirations, musical choices and background. When the Chicago-based hip hop jazz group Sidewalk Chalk came in, Fradin asked about the meaning behind its newest album titled “An Orchid Is Born.” Band member Rico Sisney said the album is about growth, whether it’s a song about literally digging oneself out from under ground or songs with the hopeful vibe of springtime. In the album, Sidewalk Chalk also addressed discrimination and racism. Sisney said it felt like “a catharsis” to be able to talk about some of the issues that society faces. 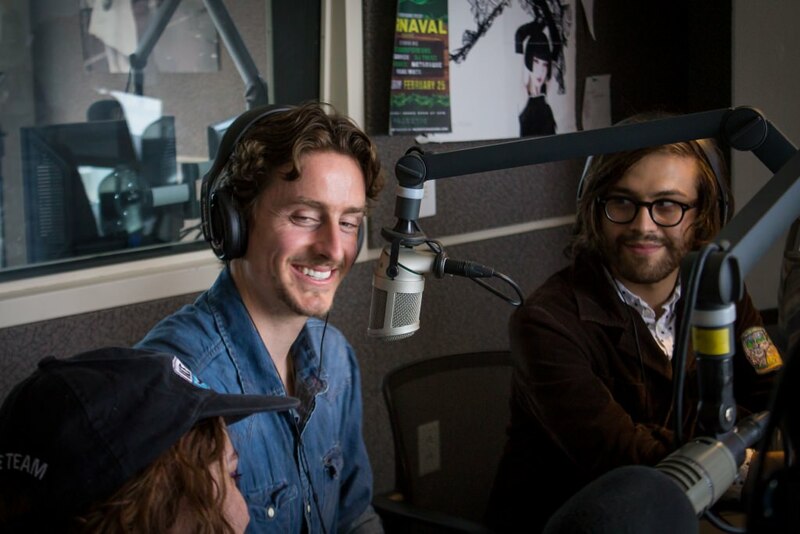 A Minneapolis-based alternative band called WTF, named for the lead singer’s initials, talked about what it was like being a part of their own collective record label, which is called Kremblems. The band members of WTF play together in four different bands, rotating instruments and positions for each band. You don’t get to learn these interesting details without meeting the band, Fradin said. She loves giving the audience the opportunity to hear more about the music. 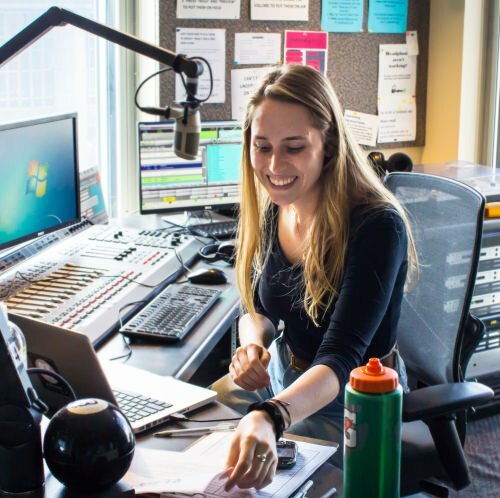 For Fradin, college radio is about connecting the community with these amazing artists.